All posts tagged: "Luxury Executive VIP minibuses"
Home Posts Tagged "Luxury Executive VIP minibuses"
Reston Coach has several late model 24-40 passenger Executive minibuses / Shuttle buses in its fleet throughout Washington DC metro area. 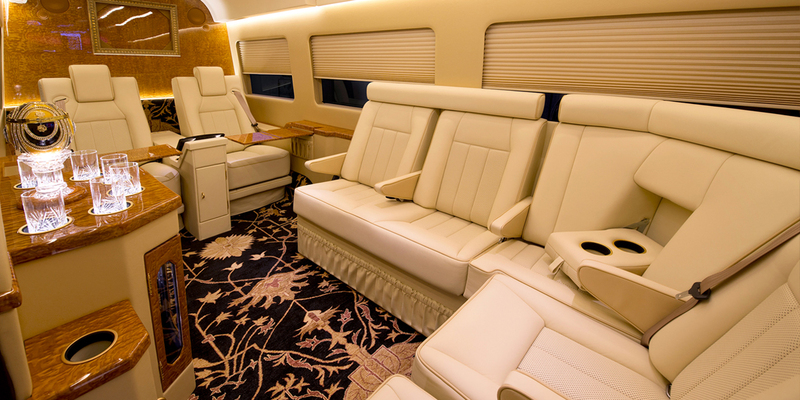 They are equipped with luxury comfort leather seats, flat screen TV, DVD, iPod/ iPhone aux , woodfloor and mood lights. They’re perfect to impress the boss / VIP guests . Weather it’s a corporate event or private event, we can help . Call us at 703-444-4458 to secure your booking now.